Liberty 2100 with AJay » 1934 Cartoon Showing That the Communist Enemy Has Never Changed! 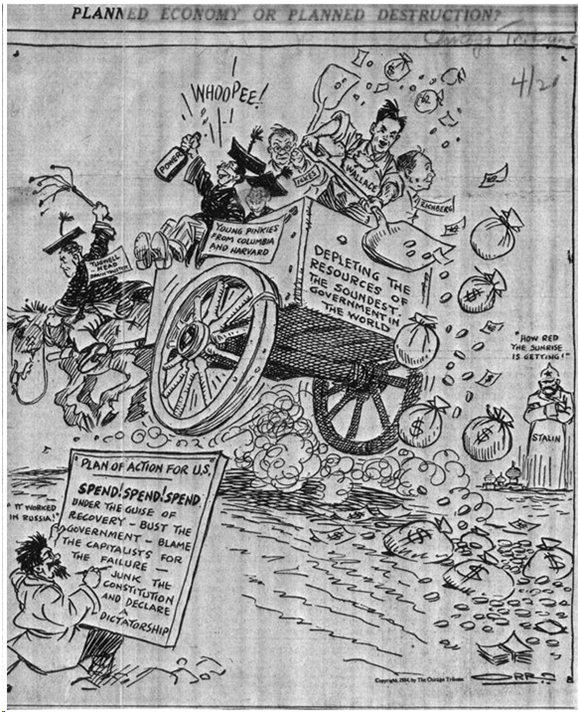 Home » Politics » 1934 Cartoon Showing That the Communist Enemy Has Never Changed! This cartoon proves that Barak Hussein Obama is merely the latest example in a long term leftist plot to undermine America in particular, and Western Civilization in General. Though nearly 80 years old, its shocking plan of action in the lower left corner is the identical path being followed by Obama and his Marxist cohorts! NOTHING HAS CHANGED IN THE BEHAVIOR AND SCHEMES OF THE POLITICAL LEFT IN NEARLY EIGHT DECADES! THE ENEMY NOW CONTOLS THE SEAT AND LEVERS OF POWER! The guy with the scraggly beard is Leon Trotsky, co-founder of the Soviet Empire. He appears as Snowball in Orwell's "Animal Farm" and Goldstein in "1984". Trotsky's real name was Lev Bronstein.